The Internet is a wonderful thing, except when it causes all types of anxiety. 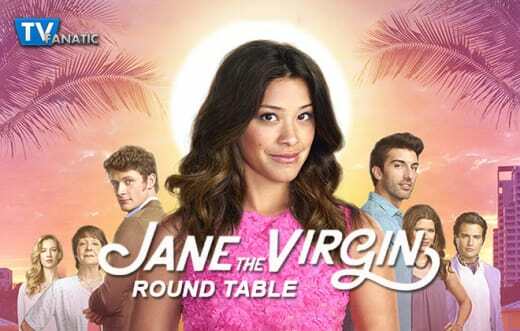 For Jane, that happened when she started learned all types of parenting advice on Jane the Virgin Season 1 Episode 17. Unfortunately, baby daddy, Rafael was not by her side as she took in all the new advice. Join TV Fanatics Terri Clark, Amanda Steinmetz and Mary Kate Venedam as they discuss Rafael's absence in addition to many other stories from this week's episode. Ready to start? Well, come on and join the conversation by leaving comments below. Would you have gone ‘down the rabbit hole’ like Jane did with parenting information? Terri: I don’t think so, but I understand how it’s possible. Too much information can be crippling. Find a couple of tried and true resources and stick with those. Like, where’s her copy of What to Expect When You’re Expecting? Amanda: I don’t think I would. I would be all over parenting books though! I definitely stay away from WebMD when I’m not feeling well. That’s the worst thing you could do! Information on the internet can be blessing and a curse. Mary Kate: As reliable and helpful as the internet can be sometimes too much information can not be the best. I would hope that I would stop myself before the information was overload and caused more chaos. 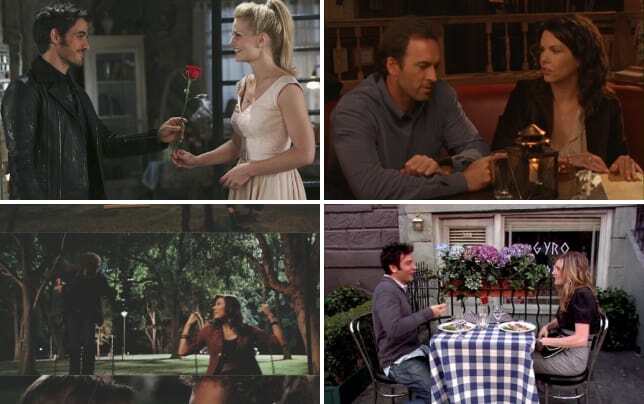 What do you think Andie’s ulterior motives are to becoming friends with Jane, aka her ex’s ex? Terri: I can’t help but think she wants revenge of some kind, but she seems so nice! Amanda: I don’t know yet, but I’m inclined not to trust her. Like Terri said, she’s nice. Maybe too nice. Amanda: I don’t know yet, but I’m inclined not to trust her. Like Terri said, she’s nice. Maybe too nice. Mary Kate: What’s curious is why she would go after Jane if her and Michael are broken up? I want to know what she wants. How do you feel about Rogelio rushing the relationship with Xo knowing he wasn’t fully committed yet? Terri: In typical Rogelio fashion he did what best suited him. He just wanted easy access to Xo and didn’t think beyond his (sexual) needs being met. His narcissism can be a real annoyance! I want to see this man love-clobbered, so head over heels for Xo that he’s willing to look the fool for her. Once his heart acts bigger than his ego we’ll know it’s the real thing. Amanda: I have a love/hate relationship with Rogelio. He’s hilarious, but sometimes his self-absorbed personality goes too far for my liking. I want to see him not think about himself for once. Mary Kate: I'd be pissed if I were Xo. Obviously Rogelio has feelings for Xo, he just made it seem he was more committed than he was. With all of the trouble that Xo had with Alba to move out, someone should have checked their feelings before that kind of commitment. This was a time when Rogelio being so self absorbed was not so funny and endearing. Should Rafael have been a more supportive boyfriend/future father for Jane? Terri: Yes! His priorities are completely wrong. Jane has every right to be worried that he won’t be there for her and the baby. He’s not there for her now and his solution is to buy help. Bad daddy! Amanda: Um, yes! As a #TeamMichael member, I know he would have understood Jane’s feelings. However, Rafael is still learning to be a future father. He just needs to get a move on, and learn how to be supportive to Jane. Mary Kate: A big fat YES! Jane needed someone to understand the stress she was going through, or at least hear out Jane's concern. Rafael should've let Petra handle the Marbella party while he was helping Jane. She wasn’t exactly expecting this pregnancy so Rafael should've known to be there for her. If Rafael found ‘Aaron’ Zazo, do you think he knows the truth about his identity? Terri: Hmm, I don’t know. If they were in cahoots you’d think we’d see some hint of whatever charade they are pulling. Amanda: I suspected that Rafael knew something, but maybe not. Mary Kate: I feel like Rafael should know something if he went to the trouble of getting this ‘Aaron’ back. But, part of me thinks it would be nearly impossible to keep that secret and act somewhat sane since ‘Aaron’ has shown up. What was your favorite moment from "Chapter Seventeen"? Terri: I thought the lactation class was hilarious. And I liked Jane’s daughter tormenting her about her parenting choices. Amanda: I enjoyed the scenes involving Rogelio and Michael. I’m digging their bromance. Also, Rogelio was kind enough to admit to him that as much as he likes him, he thinks Jane will stay with Rafael. Mary Kate: I loved the front porch scene between Jane, Xo, and Alba. It’s nice to see that even though they are moving on into different parts of their lives, they still are there for each other first and foremost. It was the one of the sweetest scenes between the three of them we’ve seen. Mary Kate Venedam is a staff writer for TV Fanatic. Follow her on Twitter and on Google+. Between you and me, I would like to declare myself #TeamMichael. But, first and foremost, I must remain #TeamJane. That means I must encourage you to #Moveon.